"I am semi-retired and recently became a grandfather. 10 years ago I became concerned about Climate Change and became involved with taking local action to address it. Initially I was involved reducing my own carbon footprint and others who wanted to do likewise. Four years ago I met a young Climate Warrior who had come from the pacific Islands to protest at Newcastle against our coal exports. She told me how she sat and watched the coal ships sail past and she cried because they were destroying her island home and she could do nothing to stop them. I realised that Climate Change is not something that will affect us in the future but is affecting real people now. Since then I have become more involved with taking global action on Climate Change. 12 months ago I became involved in the #StopAdani campaign. 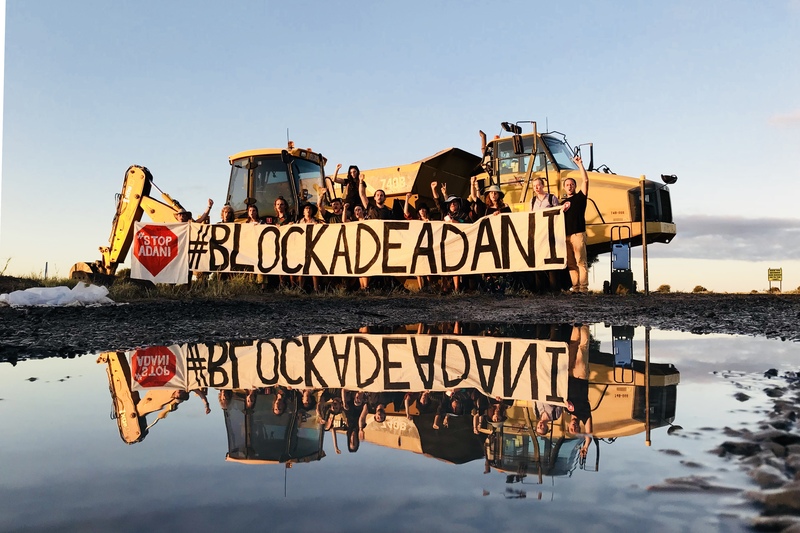 This campaign is to stop the Adani coal mine from being developed in central Qld. I see this mine as a pivotal moment in Australia’s fight against Climate Change. If we can stop this mine, it is unlikely that any other coal mine will be opened in Australia. The campaign has been very successful, convincing WestPac not to fund it, convincing CommBank not to fund it, convincing the Qld govt not to accept one billion dollars from the federal government to fund it, convincing China not to fund it, convincing 30 international banks not to fund it and convincing Downer not to help build it. The only thing left is to get Adani to walk away from the project. They have started preliminary work in Qld on the rail line. Since September there has been an ongoing protest to disrupt this work with over 50 people being arrested. In early December I joined with 45 others to blockade the work site. 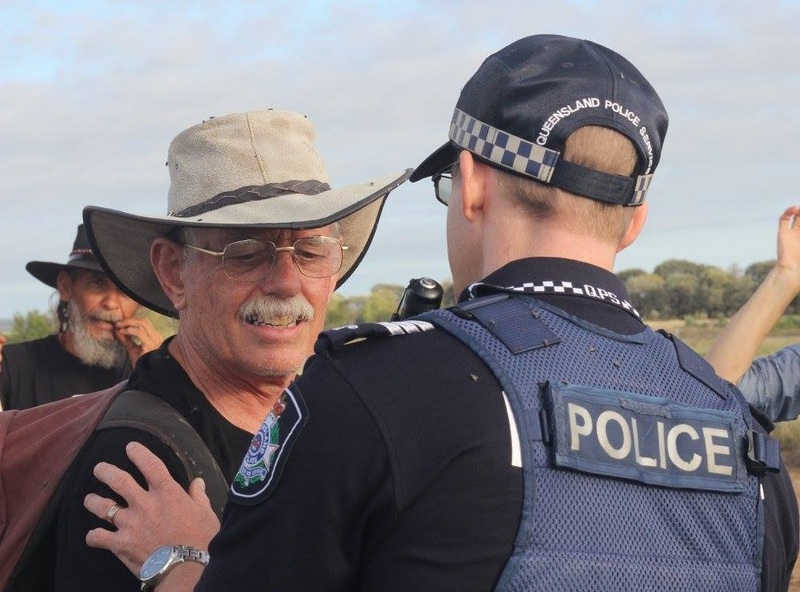 I, along with 15 others, were arrested and charged with trespass and fined. We were also charged with obstructing police. My Chuffed campaign is to raise money to help pay my fines and the fines of others. I see this campaign as an opportunity for others to show their solidarity with the protesters even if they are unable to go to Qld and participate. I have always been a law abiding citizen, but I am convinced that we must take a stand against this mine, even if it means breaking the law. The recent arrival of my first grandchild has encouraged me even more to make sure this mine does not happen."